Laptop Power Jack Repair in Hyderabad and Secunderabad. Laptop DC Jack Socket and DC Port Fix. Unable to start your laptop due to DC power jack problems? We are here to resolve your issue. Experts in fixing laptop power/dc jack repair problems. Many service centres tell you to change your motherboard which is too expensive and not a perfect solution to your problem. We have a team of technicians specialized in component level repairing for Apple, Dell, HP, Lenovo, Acer, Asus, Sony, Toshiba. If the laptop charges only when the power cord is placed in a particular direction. If a spark comes out from the laptop. If the unit shuts of suddenly. If your laptop often toggles from AC power to battery power. If your battery is not charging. If the laptop is charging only on battery power. Get a free diagnosis from our expert technicians to solve your issues. We render quick and quality service for all brands of your laptop and notebooks. 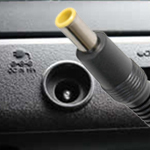 We provide component level repairing and save lot of money and time to the customers. We replace original spare parts with supreme quality service. We do not compromise for the quality in our service. The service charges are cheap and best price with us. There is no additional fee or hidden charges for the service or repair provided. Special discounts are provided for the regular customer. We render quick and on-time delivery of products with service to our customers within 2 hours of time. You can claim for a 100% money back guarantee if you overcome any issues within one year of your service. We also provide manufacturing warranty to the spare parts. With an experience of 20 years we aim at customer satisfaction and running a trustworthy service centre.